Why The World Needs More Women In Tech #infographic ~ Visualistan '+g+"
The modern world of technology is developing more and more every day. We are starting to see the vast range of new products meant to make our life easier. Things we couldn’t think of a couple of years, let alone couple of decades ago are starting to become a part of our everyday life. But, even though there has been a lot of an improvement in technology, one thing still remains the same, and that is the lack of women in that field. The sad fact is that there is less than 7% of tech position in Europe filled by women. How can we even expect anything different when girls are discouraged from studying STEM subjects from an early age? It is the time to finally put a stop to this well-known gender stereotype that assumes boys are better at science and maths. We would all benefit from getting more women interested in the field of technology. 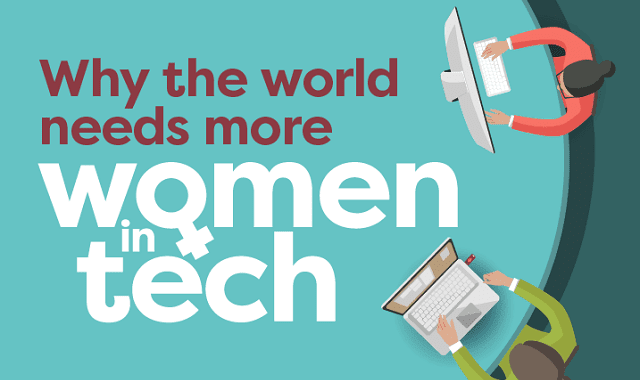 In this great infographic find out why the world needs more women in tech.